As far as dystopian novels go this is a great one. I absolutely loved the concept of humans adapting to their surroundings as the world changed and got overcrowded. There are quite a few different colonies of people who all have adapted in different ways to different surroundings. I really liked the way the author mixed the realistic with the fantastical in this novel. Aluna is an absolutely amazing heroine. She's strong, fearless, and always ready for an adventure. I also loved the character of Hoku. Even though Hoku isn't as strong as his best friend Aluna he is extremely intelligent and that helps them out a lot in this novel. I think that the world created here is beautiful yet frightening at the same time. The battles and adventures are intense and action packed. The ending was amazing and I can't wait until the next book comes out so I can see where Aluna's adventures take her. This was a strong and interesting dystopian novel which I definitely recommend to those who love these kind of books. Great review! 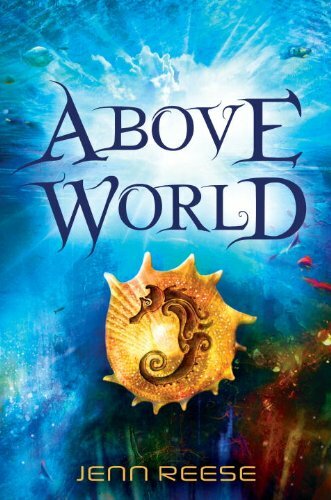 I am reviewing Above World on Monday Jan. 16th. @ soimfifty.blogspot.come So glad I found your blog.